In preparation for Saturday’s installation, Bishop Gerard de Korte’s (redesigned) coat of arms is placed above the cathedra in the cathedral basilica of St. John the Evangelist in ‘s-Hertogenbosch. In a couple more days, ‘s-Hertogenbosch will have its new bishop while Groningen-Leeuwarden will welcome its temporary diocesan administrator. This administrator, most likely vicar general Msgr. Peter Wellen, is to manage current affairs in the diocese until the new bishop arrives. The next step of the selection of that new bishop now lies with the Nuncio, Archbishop Aldo Cavalli. The cathedral chapter of Groningen-Leeuwarden has sent him their list of three candidates, the so-called terna, and it is the Nuncio’s task to collect information on the men on it, as well as collecting the advice and suggestions of the others bishops in the country. The list and information will then be sent to the Congregation for Bishops in Rome, after which Pope Francis will make the final choice. For now, I expect one of the auxiliary bishops of Utrecht, Herman Woorts or Theodorus Hoogenboom, to come to Groningen-Leeuwarden. Yes, that is slight change in previous ideas on my part. Whoever it will be, his appointment will probably take place after the summer, which means that the diocese’s major annual event, the St. Boniface Days in Dokkum on 10 to 12 June, will happen without a resident bishop. Under Bishop de Korte, this event has seen a significant development, and this year it will for the first time expand beyond Catholic boundaries, containing a significant ecumenical element in the participation of local Protestant churches. 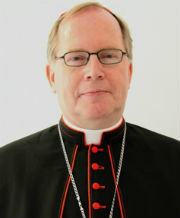 Bishop de Korte will attend and offer the Mass at the procession park in Dokkum on the final day. He may also participate in the preceding procession, but an episcopal presence is at least assured in the person of Bishop Karlheinz Diez, auxiliary of Fulda. Both Groningen-Leeuwarden and Fulda have events dedicated to St. Boniface, being the places where he was respectively killed and lies buried, and Bishop de Korte has previously attended the Fulda festivities. Groningen-Leeuwarden, in the mean time, has taken every opportunity in bidding their beloved bishop farewell, not least during the diocesan pilgrimage to Lourdes earlier this month, as well as in a special edition of the diocesan magazine. Words from Bishop Gerard de Korte in his homily on the occasion of the 25th anniversary of his ordination to the priesthood. The festive Mass, offered by the bishop in concelebration with the diocesan vicars and the cathedral administrator, and attended by the majority of the diocesan clergy and the bishops Punt, Van den Hende and Woorts, as well as Cardinal Simonis, took place on Saturday morning. Bishop de Korte looked back on the past 25 years, but also ahead to the years that are coming. Ecumenism is major theme for the bishop; it is, one could say, a defining characteristic. As an illustration, among the guests at the Mass were representatives of the Protestant Church in the Netherlands and the Old Catholic Church, whom the bishop regards as “friends in the faith”. But this ecumenical focus has also caused some to look with wary eyes at his activities. And among these, there are some very vocal bloggers and users of other social media. Bishop de Korte, quite possibly because of these wary – and often rather aggressive and personal – comments, has been rather critical about Catholic bloggers in the Netherlands. 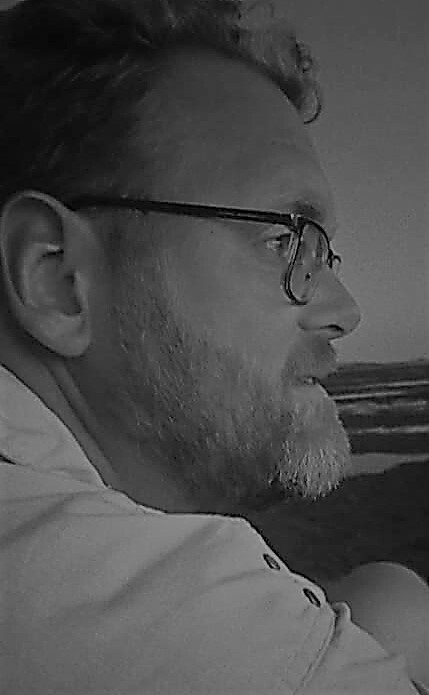 In the past he has written about the need for bloggers to remain charitable and be careful for what they commit to the screen, which, sadly, led to a renewed round of criticism and attacks, not only aimed at Bishop de Korte, but also at those who dared to express support, like yours truly. Accusations of slander were even leveled at me at one point. Just an illustration. Regarding the above, Bishop de Korte’s apparent opinion of bloggers and users of social media, illustrated by the quote I shared above, can be explained. But it is sad that he has been given this impression. For not all bloggers are hostile to priests and bishops, even if they can, at times, be quite critical of their words and actions. Should we then reply with a similar “so be it”? I don’t think so. Bloggers have things to say. Not to blow my own trumpet here, but let’s face it: you don’t start a blog and devote time to it, sometimes for many years, without having a thing or two to say. We should then look at how we communicate. If our way of communication causes people to ignore the message and even consider bloggers to be peripheral, we are doing something wrong. Of course we should not simply be quiet when we disagree, but neither should we resort to personal attacks and name-calling. Any possibility of a quick resolution will go straight out the window in that case. I may personally regret that my bishop chooses to focus so much on ecumenism instead of a clear Catholic teaching in our secular society, but that does not mean I’ll denounce him as a heretic or worse, as some do. The Diocese of Groningen-Leeuwarden announced yesterday the name of the priest who succeeds Vicar General Johan te Velde, not as vicar general, but as regional vicar. He is 35-year-old Father Arjen Bultsma. Msgr. te Velde recently announced that he would lay down his function as one of the diocese’s two vicars general in order to become a Benedictine monk. Msgr. 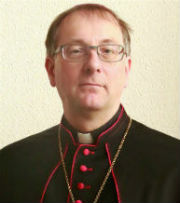 Peter Wellen remains as the single vicar general, and is also a regional vicar for the provinces of Groningen and Drenthe. Fr. Bultsma will be regional vicar for the province of Friesland and the Noordoostpolder, basically the western half of the diocese. 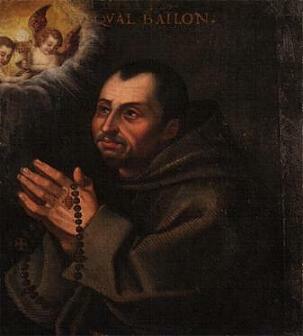 He also remains in fucntion as parish priest in four parishes in western Friesland. Despite my two-week absence from the blogosphere, the past month managed to see 3,779 page views. It’s the lowest total since December, sure, but it goes to show that I can be away from the blog for a while without numbers plummeting completely into the single digits. In the top 10 of most popular posts we’ll see which topics are responsible for the continuing interest. Another high point this month was the crossing of the 100,000 threshold. In fact, on the same day that I returned from Spain, 23 August, the 100,000th visitor since January 2010 popped by. It’s only numbers, but it still makes me pleased. One to the top 10!